I haven't had much time to post lately, but today's views went through the roof and I had to share why. 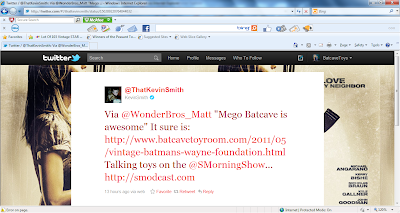 While tracing back to my referring sites, I discovered that director, actor, screenwriter and not to mention comic book writer, Kevin Smith linked to The Batcave Toy Room on Twitter today. 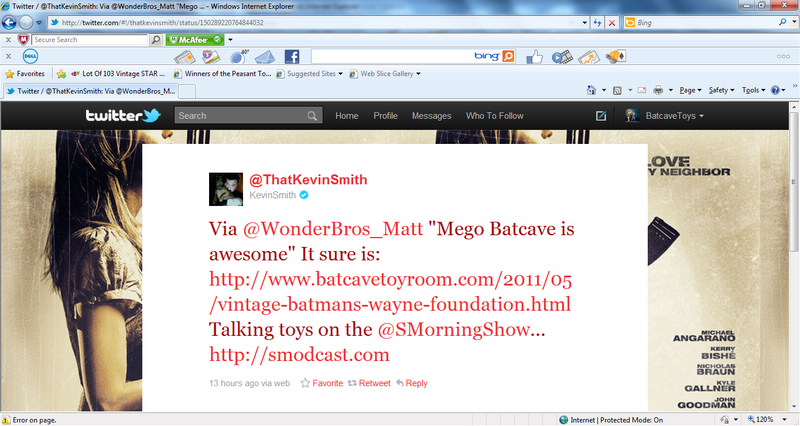 I just thought it was cool to have a guy like Kevin, who has my dream job by the way, take notice of the blog. Very cool. Thanks Mr. Smith. Jboy and Colin - Yeah, I thought it was pretty neat. Big Daddy Darth - I was completely taken by surpirse. Now I just need George Lucas to drop me a line. Now that would be the icing on the cake.